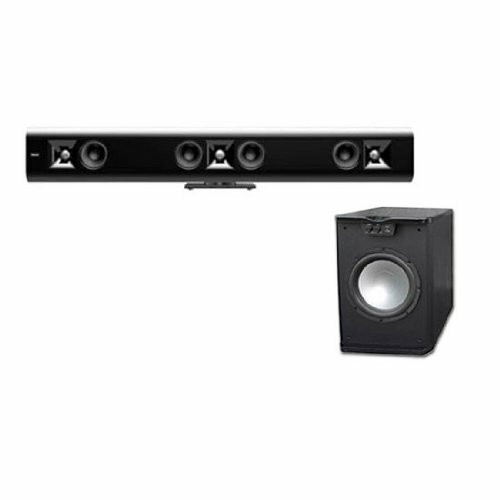 The time has come to kiss those under-performing TV speakers goodbye thanks to the Klipsch Gallery G-42 soundbar. Born to perform, this sleek soundbar transforms average movie nights into out-of-this-world viewing and listening experiences. Embodying the same power, detail and emotion produced by renowned Klipsch horn-loaded speakers, the G-42 features exclusive Tractrix Horn technology that effortlessly delivers legendary Klipsch sound. Designed with modern decor in mind, each Klipsch Gallery component is part of a true cross-over home audio solution, occupying minimal space and delivering enhanced sound - no matter the need or living environment.